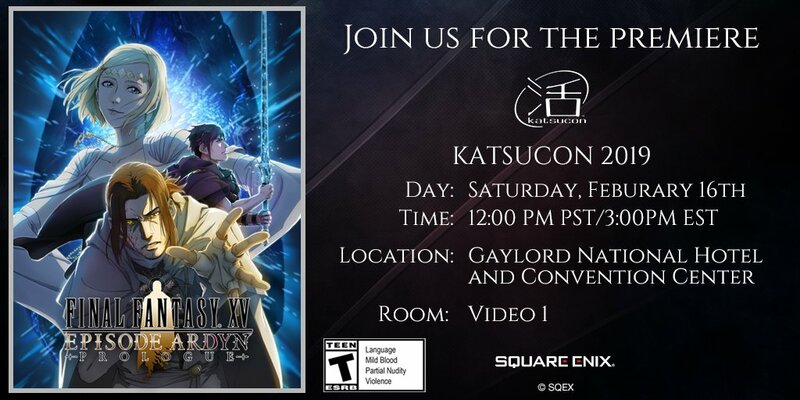 The Official Twitter account for Final Fantasy XV has announced that the Episode Ardyn Prologue animation will be premiering at Katsucon 2019; a three-day anime convention held in the D.C. metro area. Episode Ardyn Prologue will reveal the events surrounding Ardyn’s dark and distant past, and what it was that ultimately led him down a path of revenge. This animation serves as the foundation for the Episode Ardyn DLC coming in March. You can check out the Episode Ardyn Prologue trailer here. Wonder if since the animation is done they’ll release it to the public (or at least the ones who buy the dlc) before the actual episode drops in March. they already stated that the anime will be released to the public in February, as they did with Brotherhood. Yeah. I had no doubt it was going to be released like Brotherhood. I meant more like an immediate release or if we’d have had to wait until the dlc dropped. But looks like they just released it right away like I thought/hoped.